Well, technically they're both Six Flags parks, though neither one has it in their name. But who cares when we're talking about new thrill rides! 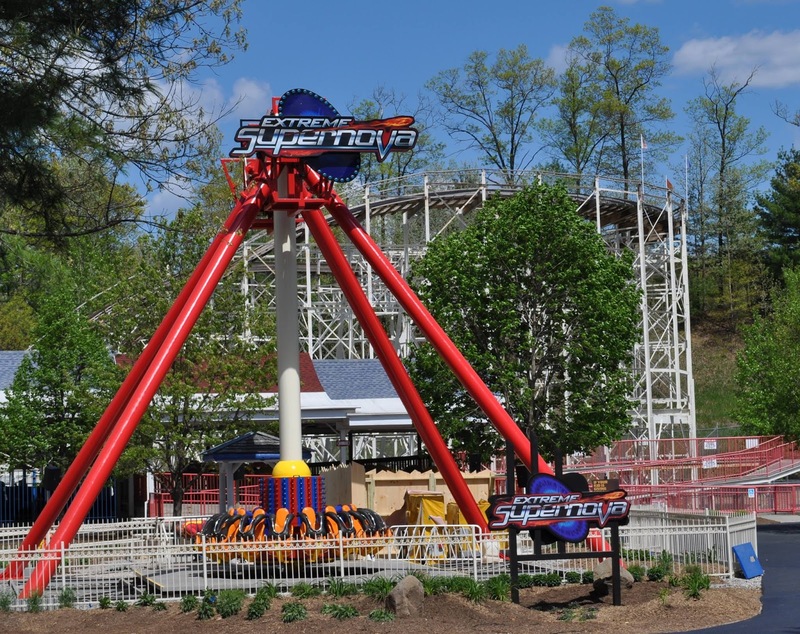 The Great Escape, located in upstate New York, will open the Extreme Supernova to excited park guests starting tomorrow. The ride will first be open for several hours for season pass holders only, then the general public will get their turn. The Extreme Supernova takes sixteen riders on a thrilling ride up to fifty feet above the ground at the end of a giant pendulum. The arm swings back and forth as the riders rotate around, creating a disorienting experience - and on top of that passengers' legs are dangling below them the whole time! The new ride is located near the famous Comet wooden roller coaster. 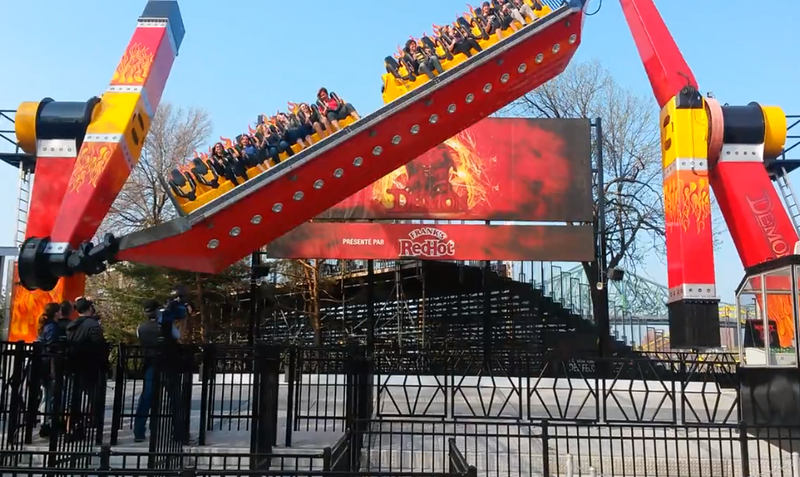 Also up North, La Ronde recently celebrated the opening of The Demon, a wicked (perhaps evil?) twisting and inverting contraption. The ride is not one you often encounter at parks, especially in the North America - this is the type of machine you find on a midway in Germany, perhaps. 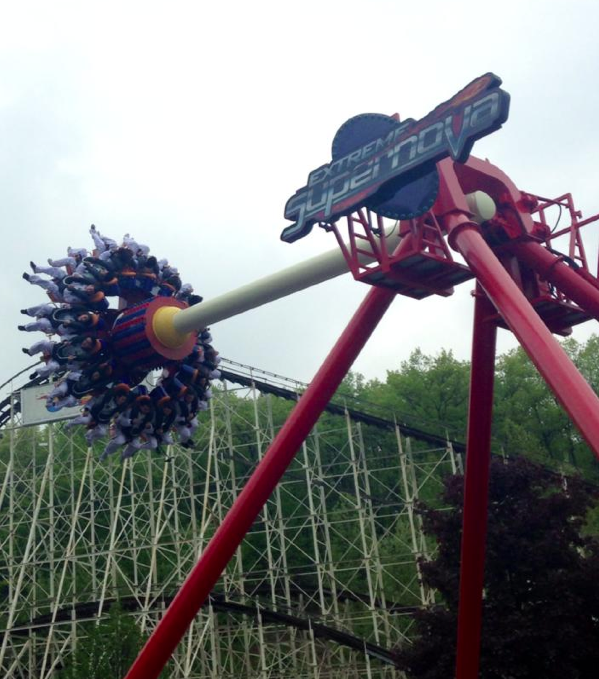 The Demon seats riders on a platform held by two arms, which does draw a comparison to a Top Spin. However the arms begin to rotate in opposite directions, much like a giant taffy pull. The resulting movements of the ride carriage are pretty crazy to watch! You'll have to disregard the French, but this video shows off the Demon in action. Frankly both rides make me a bit queasy just writing about them, but I have no doubt each will prove super popular this year!